These sandwiches are incredibly easy and make an elegant lunch for an afternoon get together with friends or a picnic. The ingredients can be arranged before hand and packed to assemble easily or put together and packed for later. Drain Salmon and mix with mayo, Dijon, celery, chives and parsley. 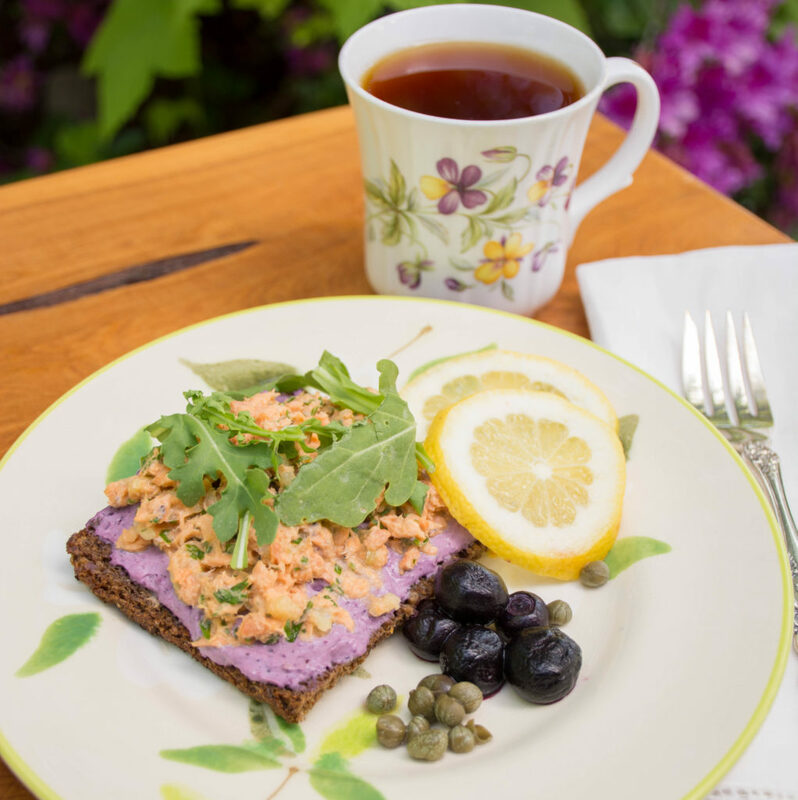 Spread blueberry cream cheese evenly on 4 pieces of Rye bread and divide the salmon salad evenly between the other four pieces. Top Salmon with Arugula and the second half of bread and serve. In a Food Processor add all ingredients and pulse until completely combined.